Holidays are the perfect time to relax, catch up with your loved ones and feast on good food. Despite the beauty of the season and the seemingly ideal circumstances, sometimes the stress of holiday gift shopping can spoil the mood. To make shopping a little easier this year, MINI Markham has rounded up 5 awesome gift ideas for everyone on your list! Keep your loved ones warm all winter long with this double-layer tubular knit MINI Logo hat. Those who wear this beanie can choose between the MINI wings logo when you roll it up, or the MINI wordmark logo when you roll it down. Made from a high-quality soft-touch 100% acrylic material and available in petrol, orange, and black- this is a winter essential! If you're looking for a gift for the children on your list, look no further! Inspired by the Olympic sport of luge, this MINI snow sled is exhilirating, compact, lightweight, very manuverable. Plus, until the end of December, we're offering 15% off on the MINI Snow Sled. Let it snow, let it snow, let it snow! Styled for a night out on the town, or for cruising around - this MINI watch is perfect for any occasion and any person on your holiday gift list! 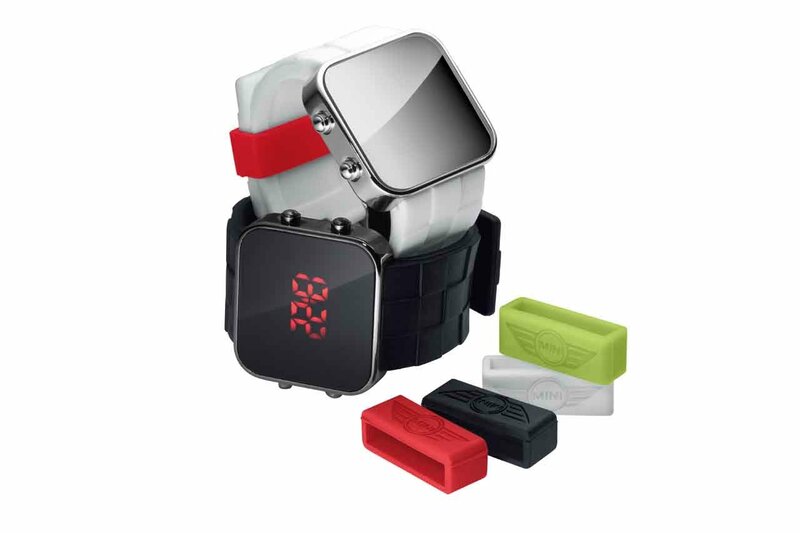 The silicone closures come in a number of colours, allowing the recipient of this awesome gift to customize the look of their watch band anytime they would like! High quality and comfortable silicone strap. This retro-style MINI Duffle Bag is the perfect sports or travel bag and fits brilliantly in every MINI. This classic duffle will impress the practical fashionista on your list with its spaciousness, intense colours, contrasting piping, and the MINI Wordmark displayed prominently on the side. Dimensions: 59cm x 17cm x 33cm. 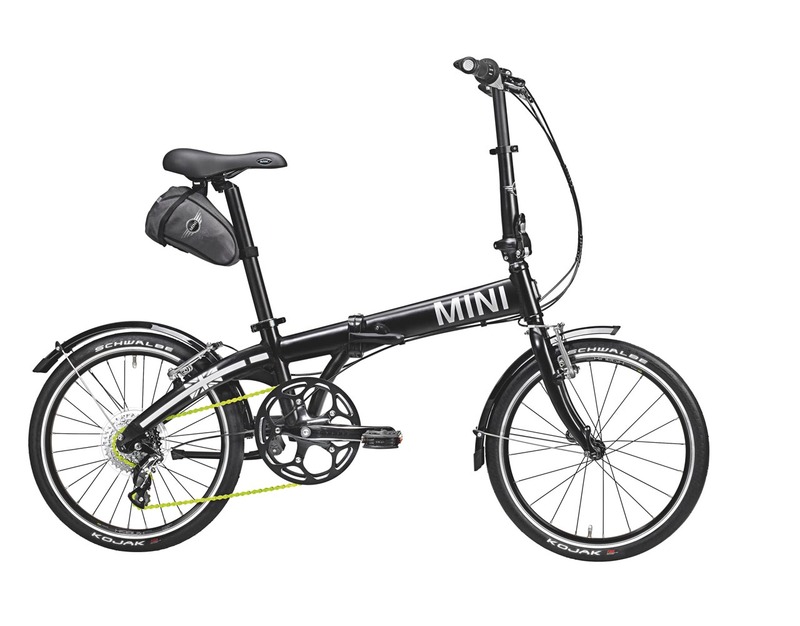 The MINI Folding Bike is like a MINI on two wheels: the ideal combination of style and innovation. The lightweight 24 lb aluminum frame has a matte black finish and silver MINI word mark on the crossbar. An eight-speed shift system and 18-inch wheels make this bike both agile and fast. The neon yellow Teflon® coated chain protects against soiling and reduces wear. A comfortable gel saddle ensures that riding is always comfortable. The bike can be folded in seconds thanks to hinges on the crossbar and handlebar stem. The pedals fold down and lowering the saddle is just as easy. The transport bag enables you to carry the bike in style or store it in the boot of a MINI vehicle. Give the cyclist on your list something to look forward to riding after all this snow melts away!